Western Digital Corp. today announced at the RISC-V Summit three new open-source innovations designed to support Western Digital's internal RISC-V development efforts and those of the growing RISC-V ecosystem. In his keynote address, Western Digital's Chief Technology Officer Martin Fink unveiled plans to release a new open source RISC-V core, an open standard initiative for cache coherent memory over a network and an open source RISC-V instruction set simulator. These innovations are expected to accelerate development of new open, purpose-built compute architectures for Big Data and Fast Data environments. Western Digital has taken an active role in helping to advance the RISC-V ecosystem, including multiple related strategic investments and partnerships, and demonstrated progress toward its stated goal of transitioning one billion of the company's processor cores to the RISC-V architecture. Interesting, but an open source CPU design is hardly going to be picked up by many, considering that it'll most likely not include parts like the memory controller and some other tricky bits that tends to be IP from specialist hardware IP licensing companies. It's possible that it'll make it easier for other companies in RISC-V to design their own chips though, so I guess it's not all bad. Also, due to the licensing of the RISC-V architecture, WD had to open source their parts, so it's not as if they're being overly generous here. I highly doubt WD will offer their end SoCs to other companies as well, since that's not their business. SiFive, a company established specifically for developing RISC-V hardware, has processor models released in 2017. These include a quad-core RISC-V SoCa quad-core, 64-bit SoC. Andes Technology Corporation, a founding member of the RISC-V Foundation which joined the consortium in 2016, released its first two RISC-V cores in 2017. The cores, the N25 and NX25, come with a complete design ecosystems and a number of RISC-V partners. Andes is actively driving the development of RISC-V ecosystem and expects to release several new RISC-V products in 2018. Codasip and UltraSoC have developed fully supported intellectual property for RISC-V embedded SOCs that combine Codasip's RISC-V cores and other IP with UltraSoC's debug, optimization and analytics. 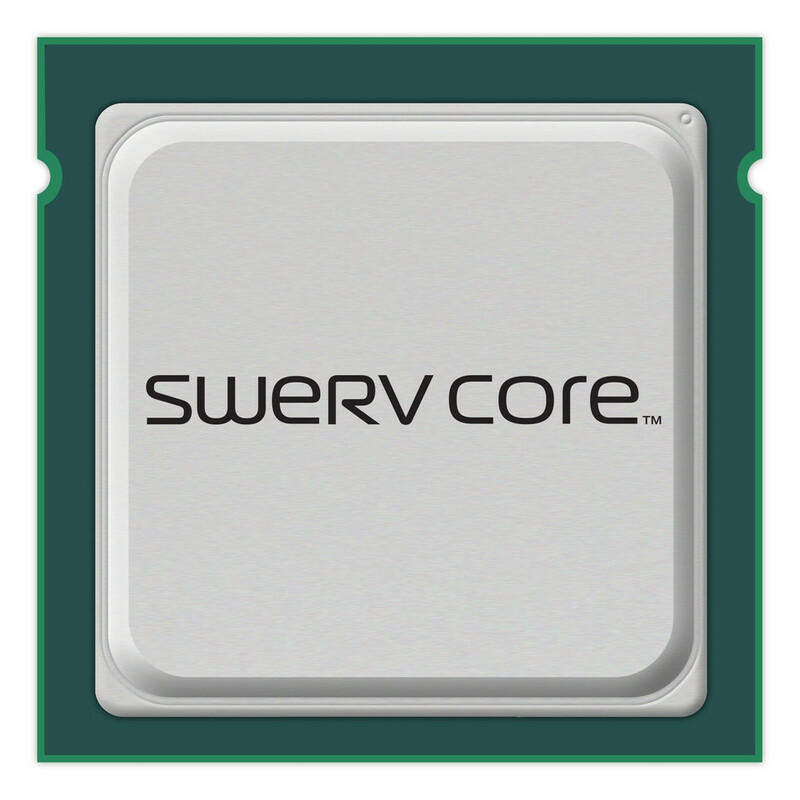 Imperas has developed a family of fast processor models for the different subsets of RV32GC and RV64GC ISA variants that are part of the OVPsim instruction accurate simulator distributions used for embedded software development. GreenWaves Technologies announced the availability of GAP8, a 32-bit 1 controller plus 8 compute cores, 32-bit SoC and developer board in February 2018. Their GAPuino GAP8 development board started shipping in May 2018. Hex Five announced general availability MultiZone Security - the first RISC-V Trusted Execution Environment utilizing the standard RISC-V ISA and privileged mode extensions. CloudBEAR is a processor IP company that develops its own RISC-V cores for a range of applications. Indian Institute of Technology Madras is developing six RISC-V open-source CPU designs for six distinct uses, from a small 32-bit CPU for the Internet of Things (IoT) to large, 64-bit CPUs designed for warehouse-scale computers such as server farms based on RapidIO and Hybrid Memory Cube technologies. Nvidia plans to use RISC-V to replace their Falcon processor on their GeForce graphics cards. ASTC developed a RISC-V CPU for embedded ICs. lowRISC is a non profit project that aims to implement a fully open-source system on a chip (SoC) based on the 64-bit RISC-V ISA. Computer Laboratory, University of Cambridge, in collaboration with the FreeBSD Project, has ported the FreeBSD operating system to 64-bit RISC-V to use as a hardware-software research platform. ETH Zurich and the University of Bologna have cooperatively developed the open-source RISC-V PULPino processor as part of the PULP (Parallel Ultra-Low Power) project for energy-efficient IoT computing. Western Digital announced a plan to embed RISC-V processors in their future products. Esperanto Technologies has disclosed that they are developing three RISC-V based processors: ET-Maxion – a high-performance RISC-V core, ET-Minion – an energy-efficient RISC-V core, and ET-Graphics – a RISC-V-based graphics processor. I think you misunderstood, not talking abut RISC-V, I'm talking about the fact that WD said they will open source their work, which I doubt has any impact in the grander scale of things. RISC-V has a lot of potential, but we'll see how open the final products will be, since things like memory controllers, PCIe root complexes and GPUs are closely guarded secrets, but are needed to make functional chips. These things can all be added externally. It was done that way as recently as Core2, in fact. Yes, but what's the point of an open source CPU core, where a company has to license all the bits that makes it work, most likely for 100's of thousands of dollars? Again, the parts WD is sharing under open source, aren't likely to be any of those bits, just a few bits and pieces they added to RISC-V, as they have to do so according to the licensing.